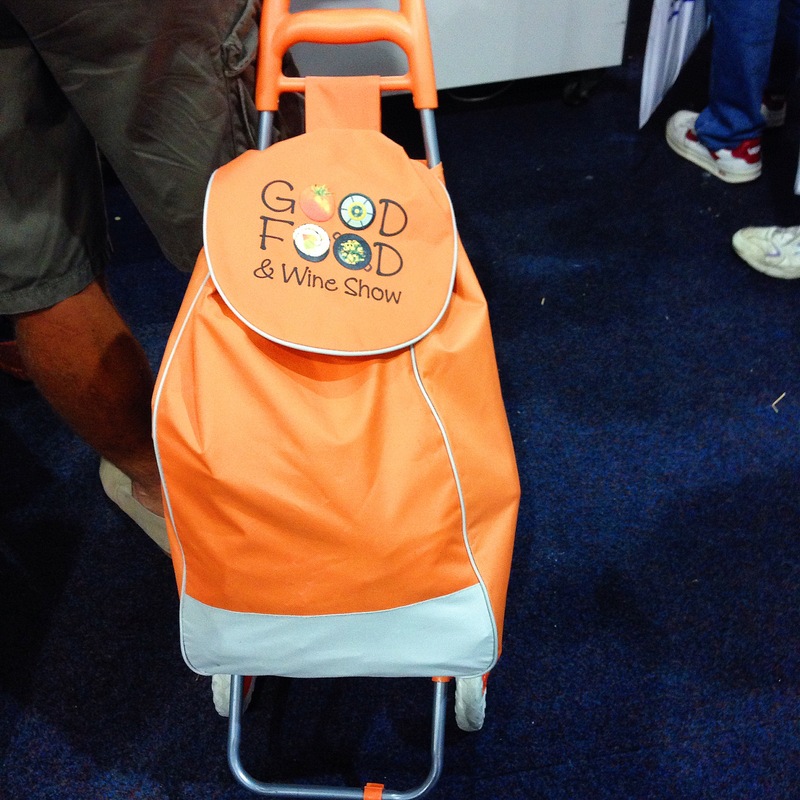 I had the delight of attending the Good Food & Wine Show for the first time this weekend. It is a little surprising, given my more than passing interest in all things food, that I haven’t been to the Good Food & Wine Show before. I always thought it sounded like fun but never went. I had convinced myself that the parking was too expensive, I would end up spending too much money and there would be too many people there! This year I was offered a media pass and this was enough to get me over that hump of reluctance. I also thought I should check it out for the benefit of you – my dear reader. So what was it like? It was fun, the parking was expensive, I spent way too much money and there were many many people there …. many with trolleys! 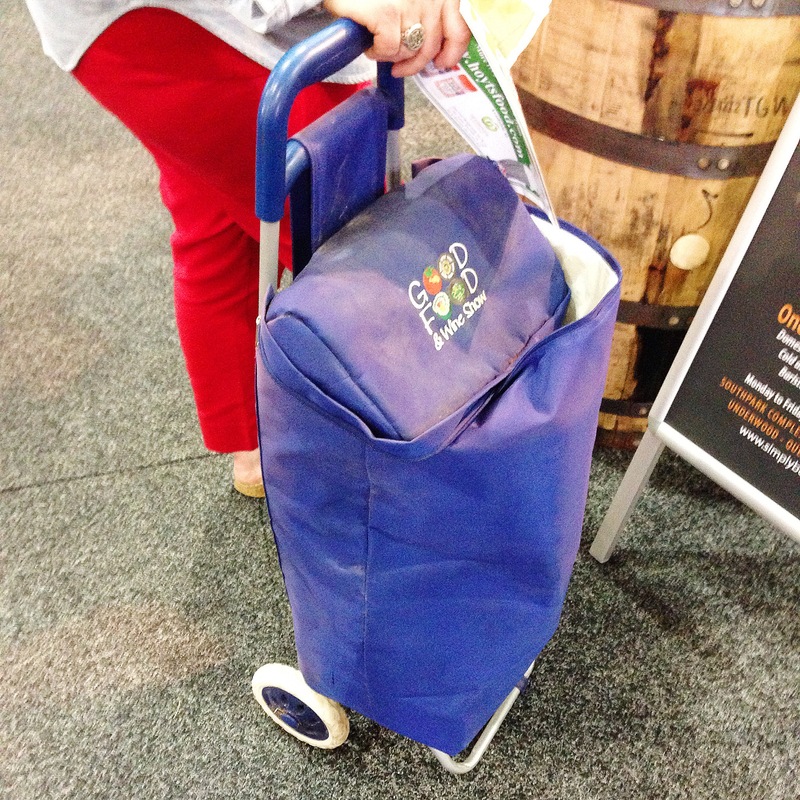 One of my first jobs (way back in the 90s) was at a supermarket where I saw many an old dear with their well used two wheel trolley. 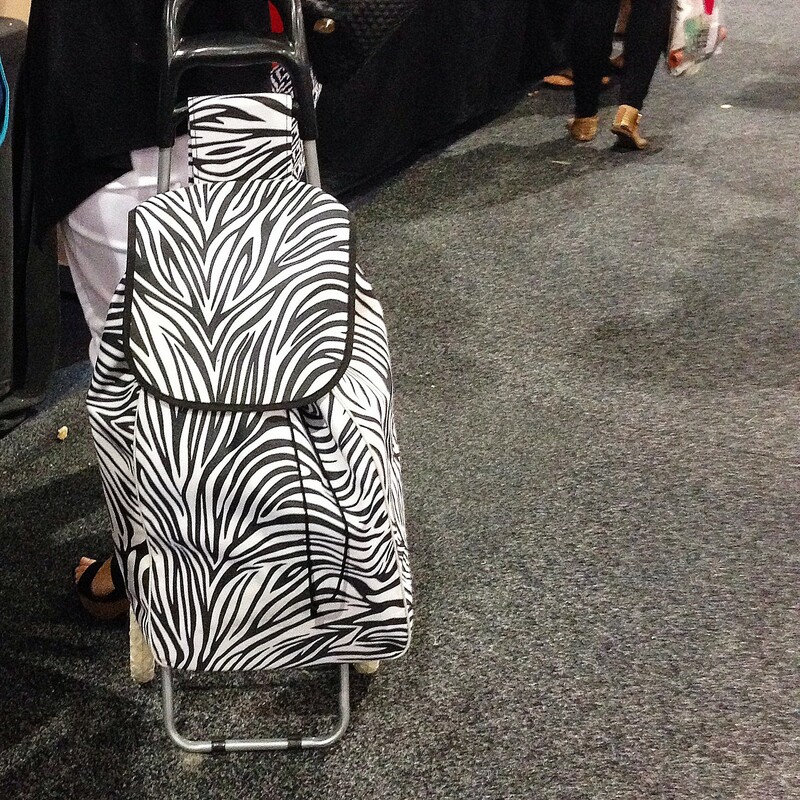 So when I saw so many people at the show with similar trolleys I was a bit surprised and rather amused. I hadn’t seen one in many years and didn’t know they had become a thing again. It didn’t take long for my attitude to change. Very quickly my bags became too heavy and I started to look at those trolleys with envy. 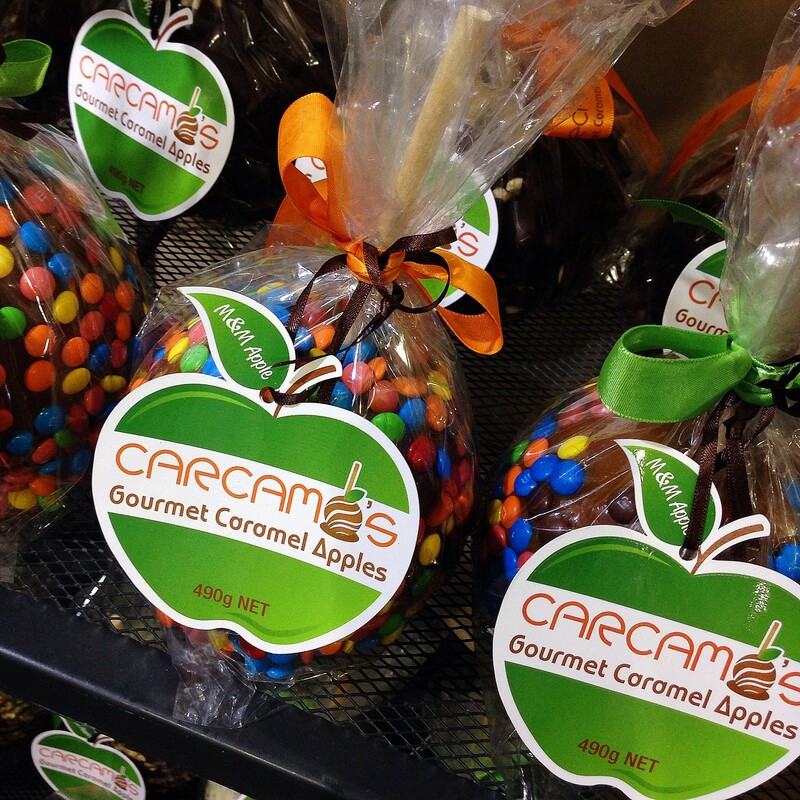 There were so many wonderful treats to try and buy. 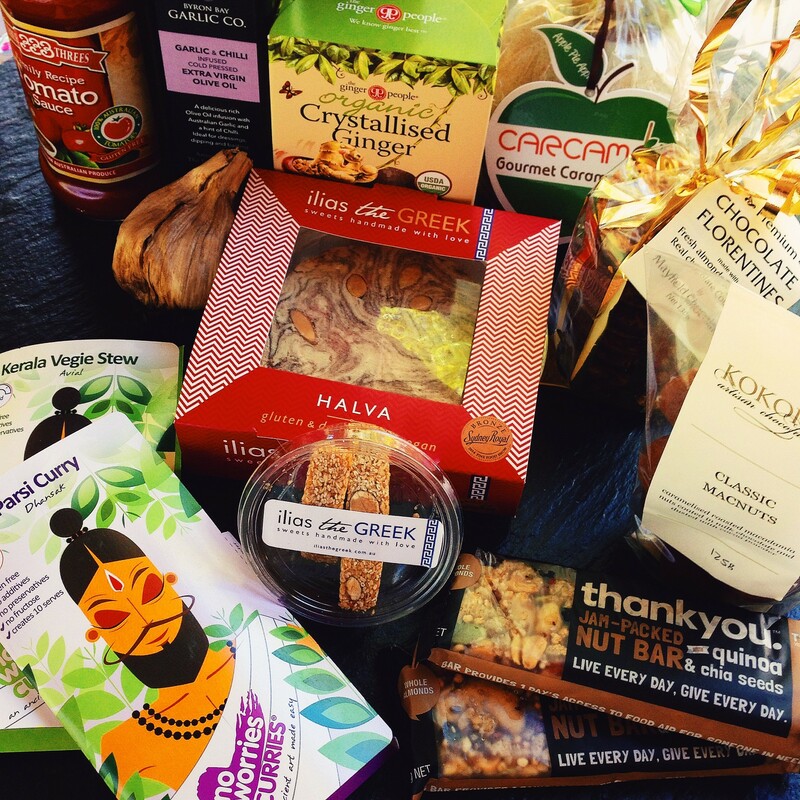 Most companies offer their products for sale online so I will probably be purchasing some more before Christmas! 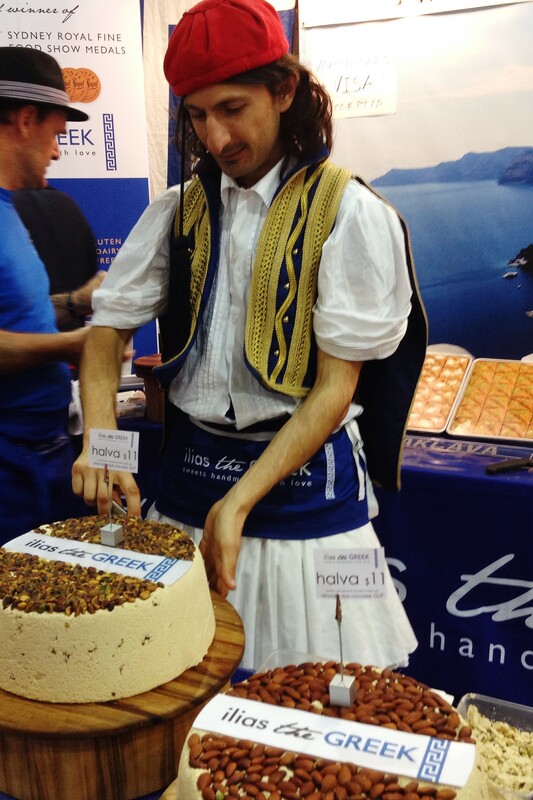 Ilias the Greek Halva – the best halva I have ever eaten! 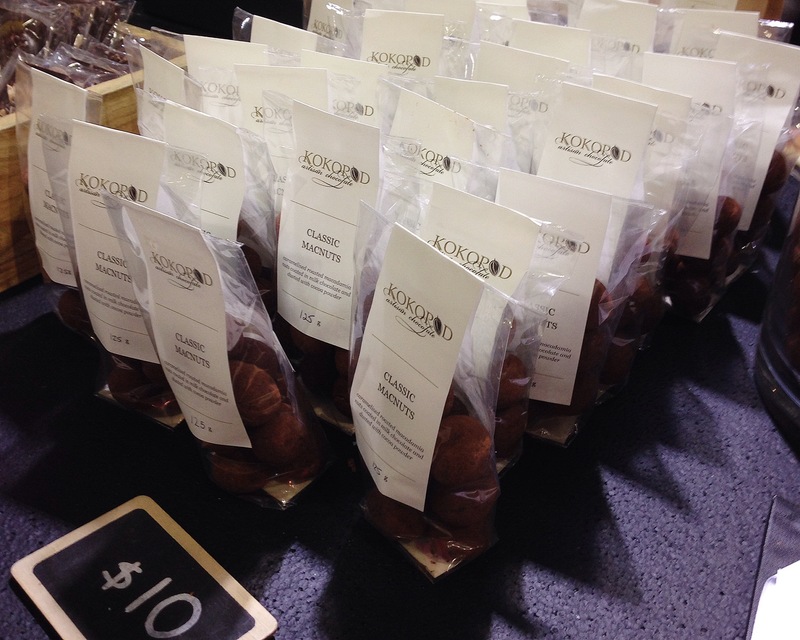 Kokopod Chocolates – I bought a small packet of the Macnuts. 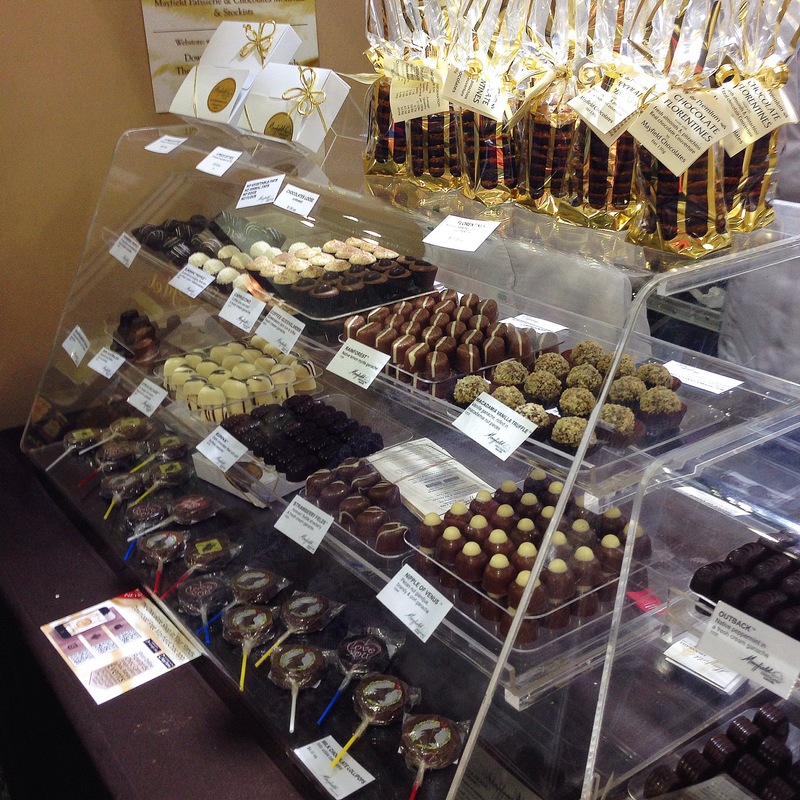 They are the best chocolate coated macadamia nuts I’ve ever had (and I’ve had quite a few over my lifetime). I wish I had bought more. 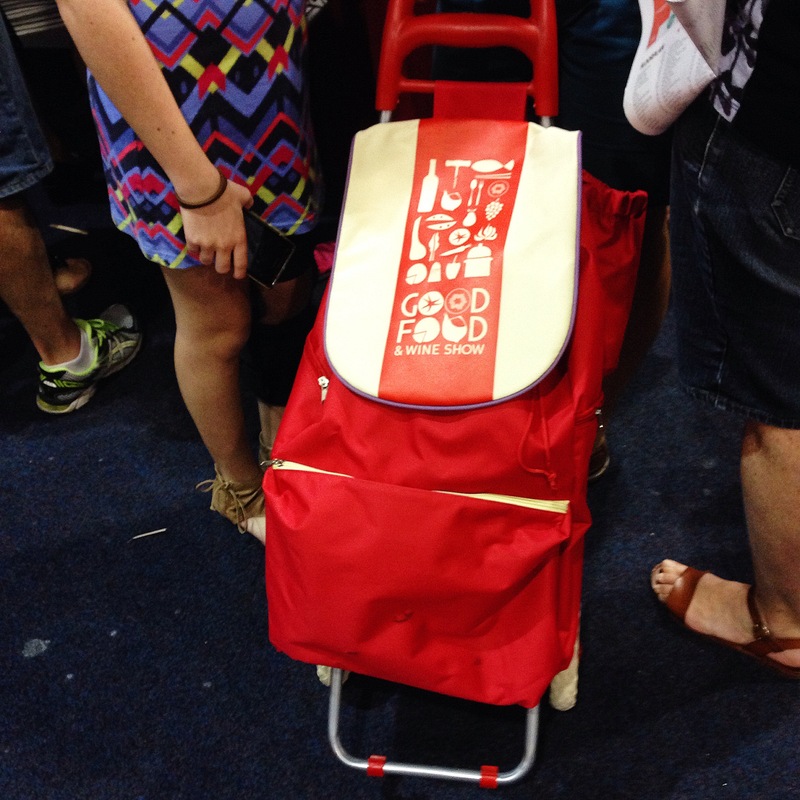 The Good Food & Wine Show is an annual event held in several cities around Australia. If you plan on going next year I recommend that you dedicate a whole day for it, take plenty of cash and an empty stomach, wear comfortable shoes and elastic waisted pants and most importantly bring a trolley! I received a media pass which gave me free entry to the event (normally $26). All opinions are my own. Posted in Out & AboutTagged Brisbane, Good Food and WineBookmark the permalink. Sounds like you had a great time! I haven’t been in years-the last time was a bit too crowded for me and my friends refused to go again afterwards. It was fun wasn’t it? We were lucky to have free passes courtesy of Maureen and free parking due to hubby’s mates.